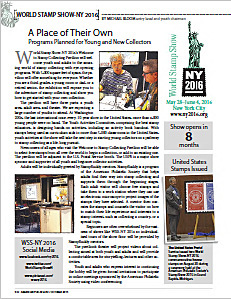 World Stamp Show-NY 2016 is pleased to have a large area of the exhibition floor devoted to youth and adult beginner collectors. 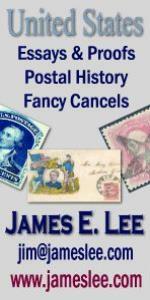 The 5,000 square foot area is on the left side of the hall near the US Postal Service booth. The space has two separate sections—adult and youth. 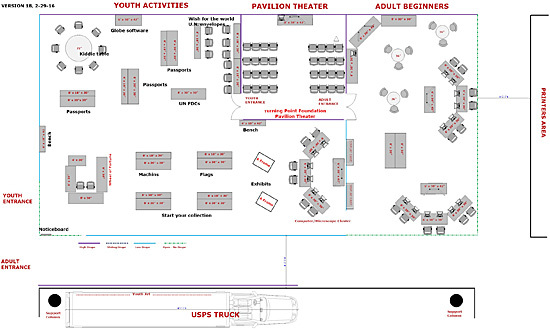 Between them is the enclosed 32 seat TurningPoint Foundation Pavilion Theater where short video productions for both adults and youth, prepared by a variety of organizations, including the American Philatelic Society, the National Postal Museum of the Smithsonian Institution, the Rocky Mountain Philatelic Library and the San Jose Stamp Club, can be seen. The theater is named after the ten year old Dallas-based organization that focuses on education and arts projects benefiting a wide range of non-profit groups. The adult area is modeled after the popular APS Stamp Buddy program (http://stamps.org/stampbuddy), There will be two Stamp Buddy clusters, each consisting of tables set up for six computers, six microscopes and buckets of free stamps. Large screens connected to the microscopes will allow participants to see stamps up close. 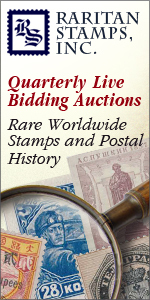 Also look out for a number of stamp exhibits that should be of interest to collectors of all ages. 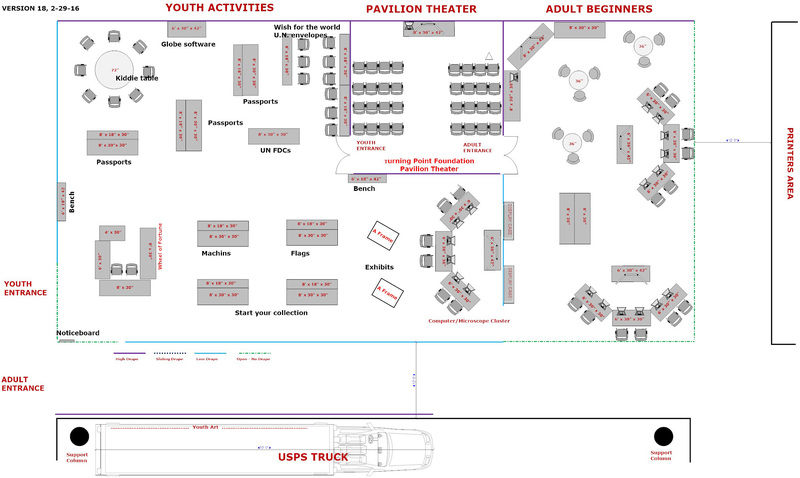 The youth area offers hands-on activities and interactive learning opportunities that will stretch minds, while providing fun for every attendee. The theme of the area is "One World, Many Stamps." Youngsters have the opportunity to explore the world's geography through stamps with a special Youth World Pass, identifying countries issuing stamps they select and locating them. They will be asked to write their "Wish for the World" which will be added to a display. The United Nations activity has attendees prepare mail that will be mailed back to them from the United Nations. A special stamp-themed, continent based activity book includes an opportunity to learn about national flags and symbols. A Stamp Buddy cluster will also be in this area. Youth will have the opportunity to select stamps to start their own collection. School and other groups are also encouraged to attend, but groups of 10 or more need to be scheduled in advance. Please email debby.friedman@ny2016.org for more information. Plenty of free stamps and giveaways await everyone visiting the pavilion. Experienced philatelists will always be available to help with activities, explain the hands-on demonstrations and answer stamp collecting questions. Make sure to stop by and say hello! Read more by clicking the articles below. 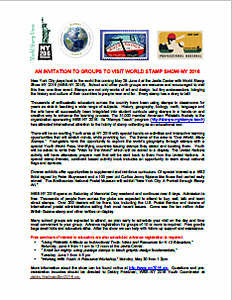 Get your Stamp Collecting merit badge by attending World Stamp Show-NY 2016!